Are you a thrill seeker craving high-octane fun, looking to learn about the home of America’s space program, or hoping to get a firsthand look at dolphin, manatees and sea turtles in the wild? Look no further. The Space Coast offers world-class attractions, educational exhibits, museums, and outdoor adventures—guaranteeing fun for all ages. Not sure where to start? Based upon visitor response, here are the top ten attractions on Florida’s Space Coast. Have fun! We aren’t called the Space Coast for nothing! On Florida’s Space Coast, rockets launch year round from the Cape Canaveral Air Force Station. 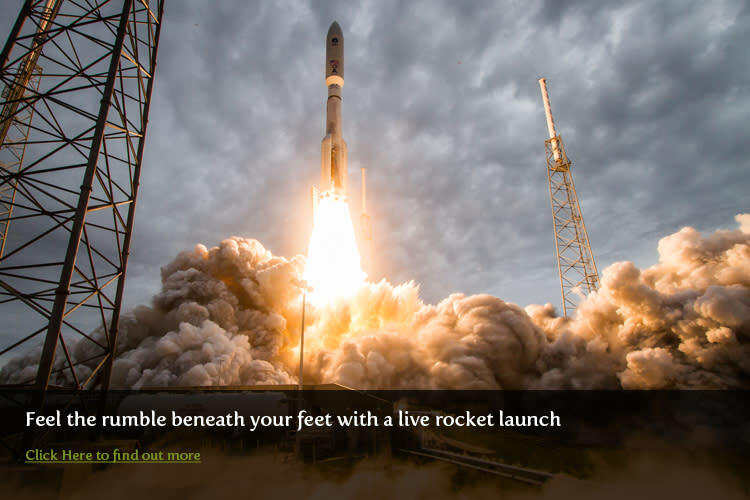 Visitors planning to view a launch have great viewing options. Either head out to the Kennedy Space Center Visitor Complex or there are dozens of public launch viewing venues such as along the shores of the Indian River, U.S. Space Walk of Fame, Playalinda Beach, the Westgate Cocoa Beach Pier, Exploration Tower or any of the beaches south of Cocoa Beach and Cape Canaveral. The Westgate Cocoa Beach Pier is a historical landmark on the Space Coast and was established in 1962. Home to five restaurants, four bars, most with spectacular views of the beach, gift shops and live entertainment, the Pier is always buzzing with locals as well as visitors from all over the world coming to enjoy the beautiful stretch of Cocoa Beach. The Pier also offers beach rentals, fresh water showers, regulation beach volleyball courts, lifeguards year round and some of the best surfing on the east coast! A Space Coast vacation isn&apos;t complete without a trip to the Kennedy Space Center Visitor Complex. 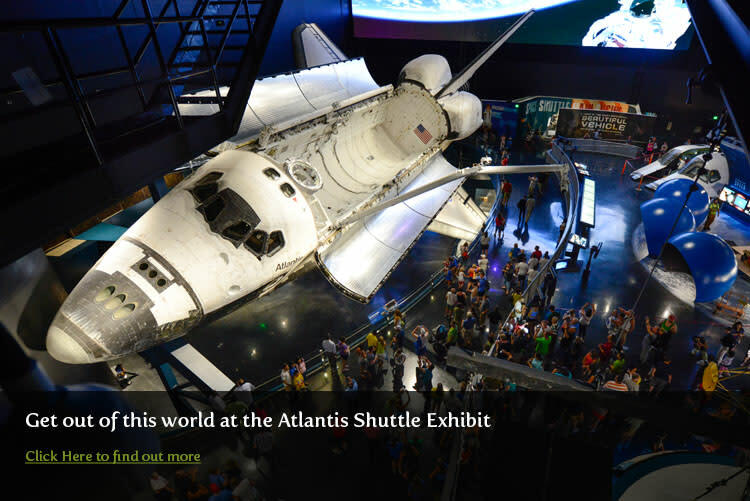 Just east of the most popular Orlando attractions and theme parks, NASA&apos;s launch headquarters is the only place on Earth where you can view the Shuttle Atlantis, tour launch areas, meet a veteran astronaut, see giant rockets, train in spaceflight simulators, and even view a rocket launch. 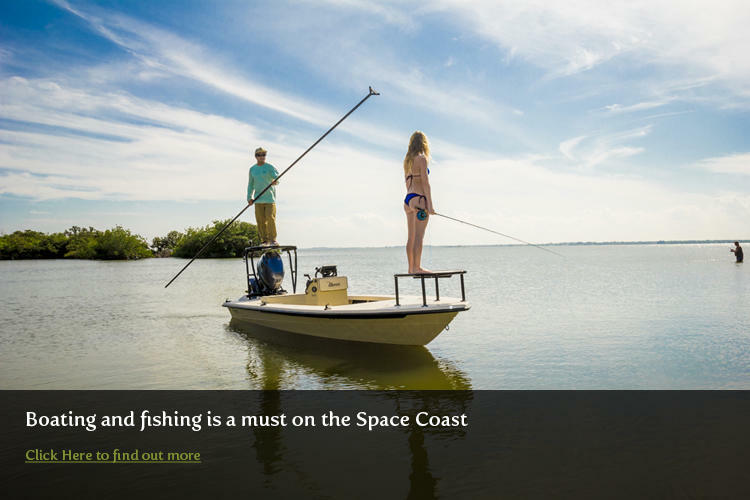 The Space Coast is a fishing hub for saltwater and freshwater anglers alike. Come to Port Canaveral and charter one of our private offshore fishing boats and troll for Dolphin or hop on a party boat and go bottom fishing. The choices are endless here. The Space Coast caters to the Florida boating lifestyle. We have dozens of public boat ramps to launch your boat or rent a boat at one of the marinas. 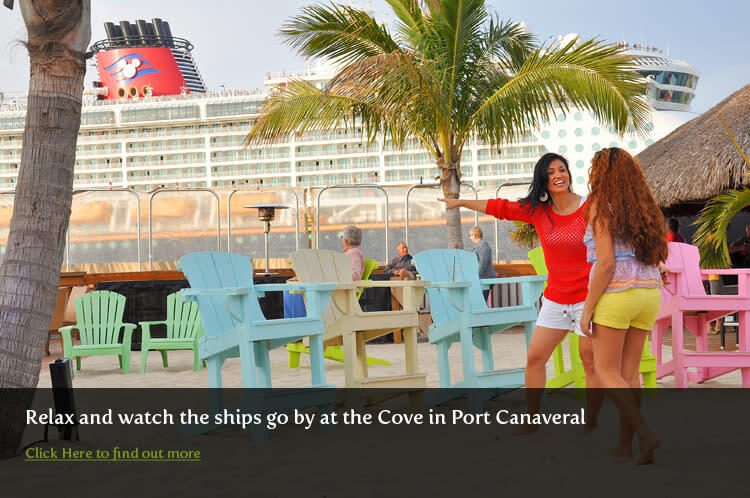 Take a cruise and watch dolphins and manatees or chill out on one of our many islands in the Indian and Banana Rivers. River fishing is a favorite recreation here. If you get hungry, there are numerous waterfront restaurants and bars that you can arrive to by boat. If fresh water fishing is more your style, try the Stick Marsh and Farm 13 Reservoirs at the headwaters of the St. Johns River. More than 6,500 acres of stump-filled shallows hold what may be the largest average weight large-mouth bass population available. 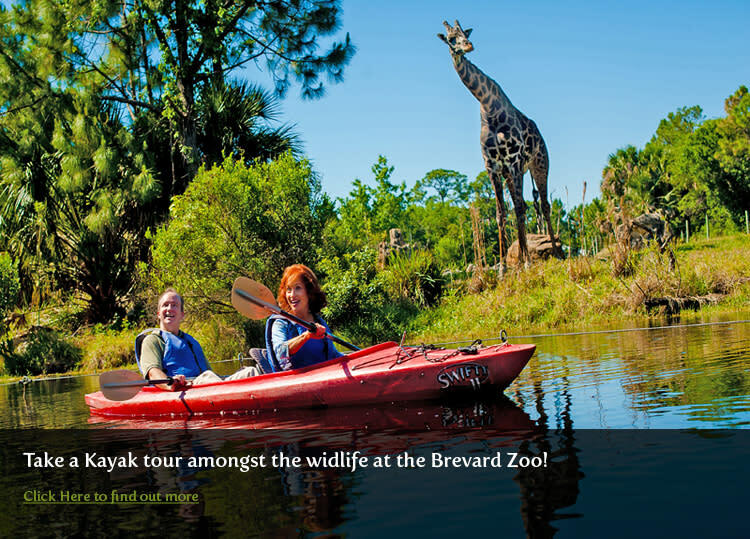 Only at Brevard Zoo can you kayak through Africa or zipline on the Treetop Trek through South America, over gators and crocs. Adventure around animal exhibits, see the animal residents up-close and personal. Let a giraffe eat right from your hand, pet a rhino, touch a baby gator, or have colorful lorikeet birds land on your arms. Sebastian Inlet State Park is an almost untouched paradise boasting three miles of beautiful beaches that are known to be a premier spot for surfing and fishing. Arguably the best surf break in Florida, 11-time World Champion Kelly Slater picked Sebastian Inlet as one of his Top 10 favorite surf breaks in the world. As any local will swear, if you get lucky enough to get to drop in to First Peak, you will be hooked! 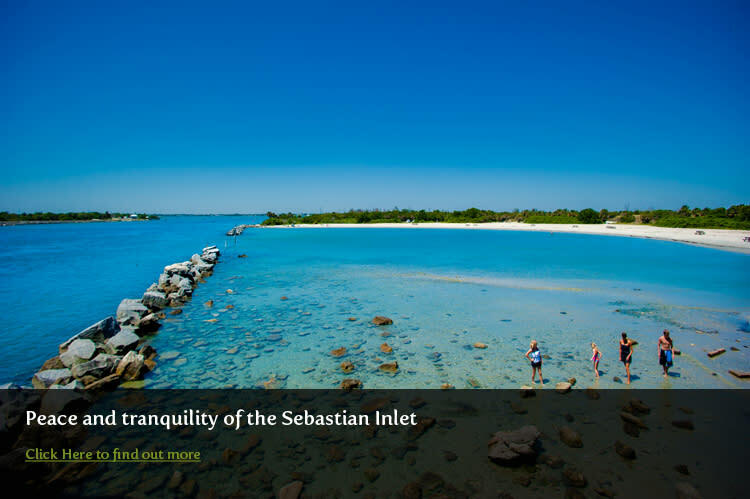 Sebastian Inlet is a favorite for anglers nationwide for catching Snook, Redfish, Bluefish and Spanish Mackerel from its jetties. Boating, canoeing and kayaking in the Indian River Lagoon are also favorite pastimes. Waterfront pavilions and picnic areas are great for family outings. A campground for RVs and tent campers is available along with a boat ramp. What sounds better than enjoying fresh, gourmet cuisine and a refreshing drink with a waterfront view outside on the deck, as the cruise ships roll by? Enjoy a drink outside at the tiki bar, have dinner at a casual waterfront dining area, listen to live music on the covered patio or watch the big game at an indoor sports bar. The Space Coast boasts several historic downtown areas located in Titusville, Cocoa Village, Cocoa Beach, Eau Gallie and Melbourne. 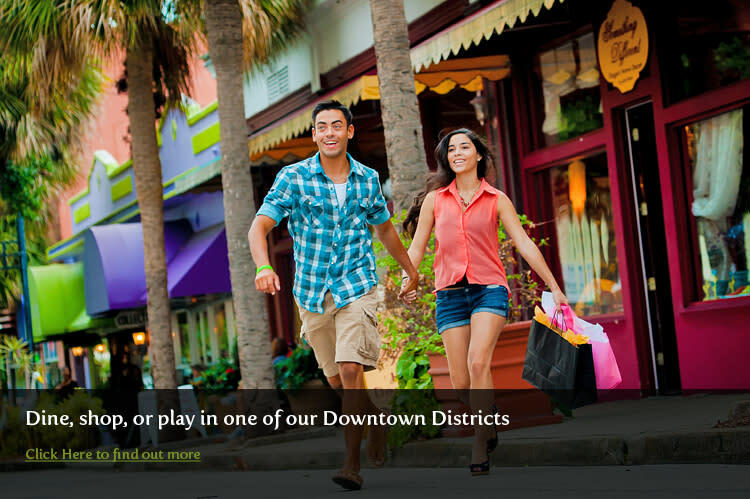 All of these districts are great destinations for dining, shopping, catching a play, perusing an art gallery or just taking an afternoon stroll. These hearts of their prospective cities also host free events regularly. 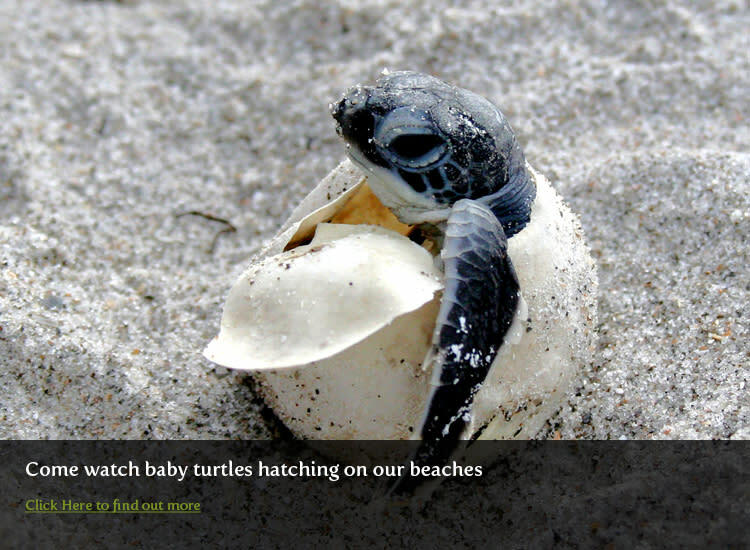 The Space Coast is the largest sea turtle nesting grounds in the U.S. Anytime you come to the Space Coast beaches during turtle nesting season (March 1 to October 31), you may see a mother turtle laying her eggs or babies hatching! Manatees (or sea cows) are gentle, lumbering aquatic mammals that number in the thousands here on the Space Coast. Manatees are more often seen during warm weather months. They move to different areas of the Indian River Lagoon during very cold periods and are not as likely to be seen. Just please remember to always be respectful and never disturb, touch or feed the turtles or manatees. Merritt Island National Wildlife Refuge is an important U.S. National Wildlife Refuge on the Atlantic coast of Florida. It is also a &apos;gateway site&apos; for the Great Florida Birding Trail.